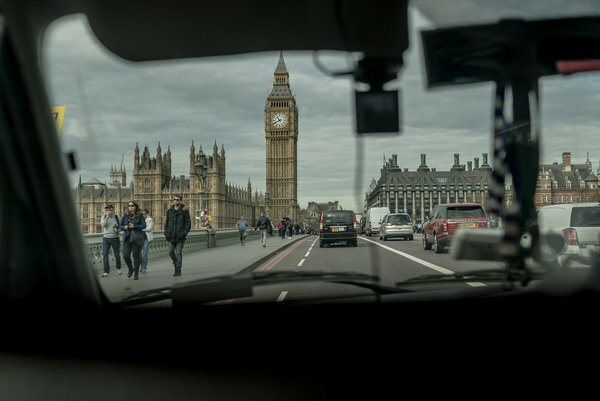 The NY Times did an interesting depth piece on the battle between London’s Black Cabs and Uber. Unlike other face-offs where the legal Taxis are a mostly entry level job for immigrants, London Cabbies are a true craft profession. In order to qualify, they have to study every route combination in a very complicated city for about 3 years. After passing a long series of grueling tests, they are said to have “The Knowledge.” There is even evidence that acquiring this mapping information expands the brain. Then, along come GPS and Uber and all that “Knowledge” plus the street hailing monopoly was upended. Moreover, the people who have the “Knowledge” tend to be white and local (growing up in the terroire gave them the obvious advantage) while Uber drivers tend to be foreign-born and brown. The Times piece is mostly concerned with the xenophobia and racism of many of the Cabbies vs the struggle of the Uber immigrants and it’s relation to Brexit. While this is certainly an issue, I would like focus on the business story because it was mostly overlooked and there is clearly a worldwide lesson in this. Like most disruptor stories, there is a precedent but one that is only really understood in retrospect. Uber’s precedent is London’s Minicabs. Beginning in the 50’s, renegade cabbies used postwar Motorola radios to skirt hailing laws with a dial-a-cab service. This was controversial and initially, hounded by the law. Cabbies obviously hated them but, over time, coexisted. After all, Cabbies often refuse fares, favoring inner London and short rides over suburban trips since meter flips make the most money and they fear returning empty. They were even known to throw passengers out of their cabs for whatever reason they chose. On the other hand, once established, minicabs, didn’t evolve much either. Radios got better but they couldn’t get the impulse or hailing passengers away from black cabs. Instead, individual drivers became notorious for “blagging” - illegally hustling for fares outside clubs, bars, bus stops etc. So, other than running ads with easy-to-remember phone no.’s minicabs never figured out how to leverage cellphones as a hailing device. Enter Travis Kallaneck – a techie and not a cabbie – who stumbled upon a giant opportunity in the marketplace. Result: worldwide disruption! But there is clearly more to this than just a clever app. Eventually, the full story of his rise from organizer of struggling black cabs to the king of the gig economy will emerge. However, from the simple outlines of its story and my own experience of the tough world he conquered I can best compare him with a primitive military genius who developed a new weapon and then adapted in a ruthless way to confront a world of brutal competition: Shaka Zulu. Taxis are all about owning territory and they are generally a monopoly backed by local authorities. There are many places where taxis engage in open turf warfare and that was before Uber. It is entirely possible that Kallaneck’s magic app had already existed in some other form, but whoever had it lacked his militant instincts. Shaka Zulu was a renegade warrior who invented a new spear who went on to change the face of African warfare, creating one of the largest empires on the continent. The key is not just that he had a better weapon but that he understood how to change tactics, training, strategy, use a total war concept called uMfekane and even introduced a fundamentally sexist motivational system based on the accumulation of brides according to conquest. Despite this, he even had women war brigades. What both Kallaneck and Shaka confronted was an established way of life and a protected class with entrenched rights. In London, the Cabbies happen to be the tribal royalty. In a very class-conscious country these Cockney Kings, unlike the landed gentry, actually earned their status and they let you know it. For this reason, minicabbers may have resented them but they also admired them – probably more so than the ‘toffs. However, like most entrenched thinking which includes landed gentry and professionals of all kinds, they rested on their privileges and felt free to ignore progress. They refused credit cards for the obvious advantages of earning pure cash and avoided radio or app-hailing devices. They also continued to pick and choose their fares. Technology, on the other hand, is inherently attracted to the upending of these privileges. Just as Shaka figured out how to disarm his opponents, Kallaneck developed programs to disarm the authorities and the taxi industry’s sense of protection. Shaka added a hook to his new shield, which enabled him whisk away his opponent’s protection, leaving a wide open target for his shorter stabbing spear. With Uber, it was the public that really sank in the spear because they got a much better deal from Kallaneck. What the public realized - as they will with most protected groups – that they exist in opposition to the public’s actual needs and the law was probably rigged by them for their own self-interest. For this reason, protected groups of all kinds should study this for what it is. It is not just a story about a bunch of Luddite cabbies, but one of a well-qualified business group hiding behind a legally protected shield – only to find that, once lifted, however momentarily – it is really not supported by the public. The true message here is, this is as likely to happen with doctors, lawyers, unions – even police – as it is with toll clerks, paper shufflers, middle managers, truck drivers and entrenched classes of any kind. Their only protection is to rethink what jobs, knowledge and professions really are and innovate in line with the public interest. That was fine before globalization but increasingly, an absurd relic. By blocking progress, like taking credit cards or developing their own apps and refusing fares, Cabbies ensured the popular support for Uber – which now faces its own disruptors like Lyft and Via. Likewise, unions, doctors, lawyers and other professionals are increasingly competing on a world market where claiming a divine right merely forces the public’s search for viable alternatives – now made easier by the Internet. There will always be people willing to pay a premium for better service but forcing the acceptance of non-progress is just a racket doomed by technology and globalization. Trade groups need to get the message and swap their protectionism for innovation or they will find themselves marching along with the taxi drivers.